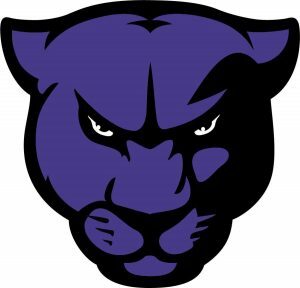 The Portland Panthers will make their second postseason appearance in four seasons as the Purple travel to play the 6-4 Jackson North Side Indians on Friday for the opening round of the TSSAA playoffs. The Panthers, 6-4, had an off week after a tough loss at Creekwood on Oct. 19. The week off gave the Panthers time to heal from a long regular season schedule. Portland coach Greg Cavanah noted that the Indians have a lot of athletes who have put a lot of points on the scoreboard. Kameron Farmington starts at quarterback with running back Haynes Holt providing coach Jesse Powell a strong one-two punch. Nakia Mercer is another speedster for the Indians along with C.J. Jones. The line includes Kevin Albea (340 pounds), Ethan Ferguson (230 pounds), a three-year starter at center, along with Jordan Williams (285 pounds). “They can take it to the house anytime,” Cavanah said. Defensively, the Indians employ an eight-man front. The Indians, picked to finish fifth in Region 6, come into the contest after defeating city rival Jackson Southside 26-7 for the league crown. North Side was 1-9 in 2017 and lost their first two games of the 2018 campaign. Southside was ranked in the top 10 in Class 4-A and hadn’t lost a game until last Friday night. North Side is averaging 26 points per game and has scored 40 or more in two games and 30 in two contests. The defense is giving up 23.9 yards per game and the only two contests an opponent didn’t reach double figures were Chester County and Southside. The Panthers are putting up 23.2 points per game while giving up 19. Junior quarterback Caleb Mandrell has 1,408 yards on 198 attempts for a 7.1 average and 22 touchdowns. Cade Box follows with 393 yards and two scores and Josh Dutcher has bruised opposing defenses with 379 yards and four touchdowns. Devyn Fuqua has a trio of scores and CeMari Knott has recorded one. Mandrell has completed 33 passes for 323 yards and two scoring strikes, one each to Box and Fuqua.